Next week I will be running a yoga workshop based around our second energy centre called the sacral chakra, or svadhisthana. When the energy is flowing through this chakra we are looking after ourselves, we are choosing to do what feels good for us, our creativity flourishes and we feel connected to our sexuality. The location of the energy centre, around our reproductive system means we can harness the energy for creating babies but also when we raise this energy to our higher chakras it unlocks our creativity in other areas of our life too. When this energy centre is blocked you will find yourself putting other peoples needs before your own, you may feel depressed and lacking the energy to create positive change in your life. 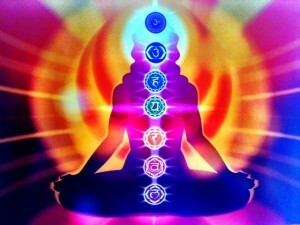 Through the Reiki healing I do I have found that this chakra is a common one to be blocked. It seems to be in our culture (or nature) to put others before ourselves. To leave to the side what we really want to do for fear of rocking the boat. To not value or love ourselves enough to do what is best for us. Creativity stifled, put to the bottom of the to do list, busy-ness taking over. Feeling tired, stressed and depleted which can lead to our connection to our sexuality diminished. Sound familiar?! The energy of Svadhisthana helps us to create our life. We have the power to choose what feels good for us. If something, or someone, is draining our energy, making us feel ill or depleted, we can choose to get out of that situation, to express ourselves and move on. We can choose what we focus on and what we want more of in our life. To help energise this chakra you can…. 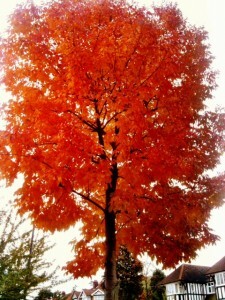 You can visualise being filled with orange as you inhale and spread through out your whole body as you exhale. Above all choose JOY in every situation, choose what lifts your heart. This is not being selfish, in fact doing this will help you have the best energy to give to others. My yoga workshop based around energising this chakra is next week, 1st November, 2-5pm at Revitalise Brighton. It’s £25 if you pay before the day and there are only 3 spaces left so please contact me asap if you’d like to come! This entry was posted in Yoga on October 21, 2014 by louise. I wanted to write a post about welcoming Autumn but it does seems a little surreal as it’s another beautiful warm day outside! Never the less the equinox has passed and the new season is creeping in. In ayurvedic terms Autumn, like Spring, has the characteristics of the vata (wind) dosha which can be experienced as creativity, enthusiasm, freedom, joy and vitality. It’s a time for new ideas and change, very much like that back to school feeling. Too much vata can leave you feeling irritable, behaving erratically, fidgety and scattered. It’s important to stay grounded during this time in order to be able to think clearly and act effectively to put in place all your new plans. When you are practising yoga make sure to bring your awareness to your feet. Every now and then it’s good to close your eyes and feel your connection to the earth. Tree, Warrrior 1 and 2 and Tadasana (mountain) are great for this. Make your sun salutations a bit slower than normal, paying attention to where your body touches the floor and as always really connecting to the movement of your body and breath. Forward bends help to calm the mind, like uttanasana (standing forward bend), paschimottanasana and of course our favourite, childs pose. Spinal twists remove excess vatta, air, from the nervous system. Hold them for at least 10 breaths on either side. It takes a while for the body to open into a twist, so in lying down and seated twists the longer you can be in the pose the better. Allow the breath to help you twist a little bit more on the exhale. Root vegetables are perfect to eat around this time being in season and they help you to ground. Even though energy is vatta don’t be surprised if you feel a little tired, like you want to go out a bit less. Summer is such a high energy and sociable season, once the nights start getting longer we naturally slow down a little…..getting ready for the winter months. If you are experiencing this just acknowledge it within yourself and slow your yoga practice down a bit. Give yourself permission to rest. As always listen to your body, that is what yoga is all about. The goal is not to bend your self into the most challenging but to unite mind, body and spirit. You can do this simply by sitting still or lying on the floor breathing slowly and deeply, that’s still yoga! This entry was posted in Yoga on October 1, 2014 by louise.